For my card, I continued to try out my Lawn Fawn Critters in the Burbs stamp set. 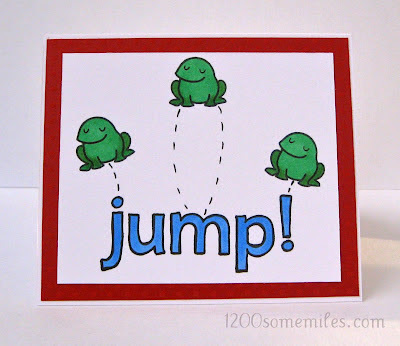 I had fun stamping the frogs and coloring them with some Copic Markers, which also make the card fit into Lawnscaping Challenge #31: Coloring. When I first started stamping I was not sure that I would like coloring on my cards. Copics and colored pencils are just as much fun as a new box of crayons. HA HA HA HA! This is so cute! And the song you picked as inspiration for this card is hilarious! Love it!!!! Your coloring is fantastic! 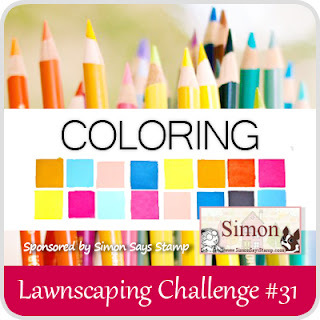 So glad you played along with us at Lawnscaping for our coloring challenge! hehehe.. so cute! love your inspiration too..